Ever get the feeling it’s not quite de rigeur (that’s a fancy word for proper!) in some circles to indulge your little girl’s love of pink. And – horror of horrors – what if that passion for pink spills to a penchant for wearing tiaras and tutus everywhere? What’s a modern mum to do? Well, here’s my suggestion. 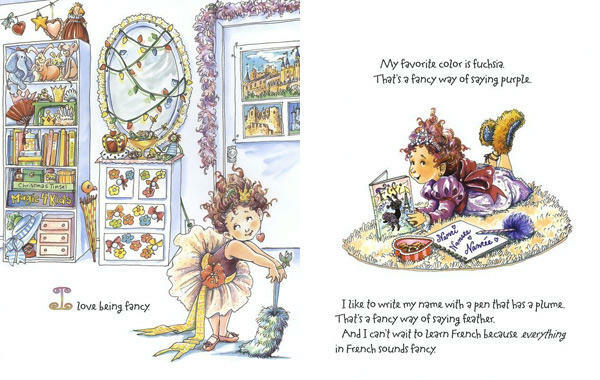 Introduce Fancy Nancy to your mini madame and enjoy the ride! 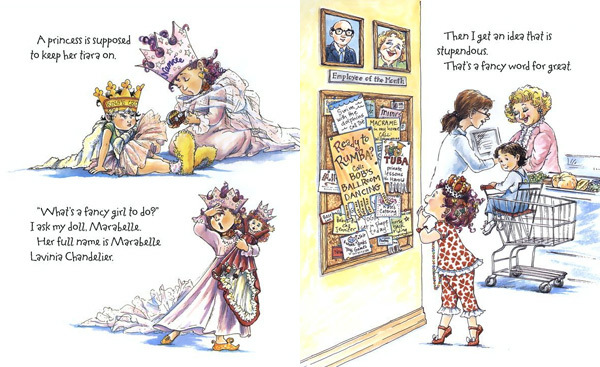 Fancy Nancy by Jane O’Connor is the ultimate picture book for precocious little princesses. Nancy loves pink. Also sequins, tiaras, feather boas and frills. Not necessarily in that order, but certainly all at the same time. 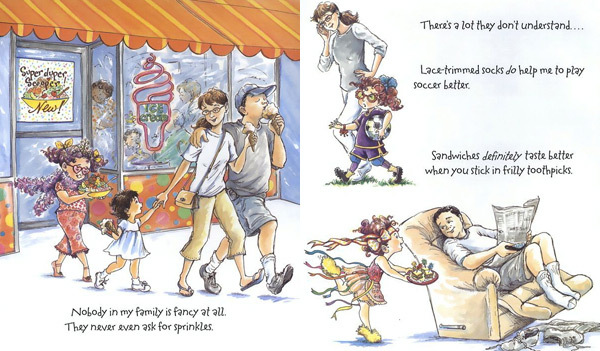 And here’s the other bit your little girl will love – Nancy’s family is not fancy at all. Not even a little bit. They’re an ice cream-without-sprinkles kind of bunch while Nancy – well, she’s a super-duper sundae topped off with a bright red cherry or three! My tiara-toting three-year-old loves this book beyond all measure. 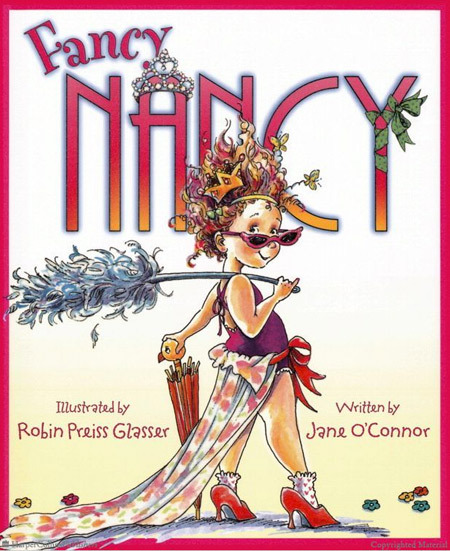 For better or worse, Fancy Nancy is now her style guru. And although inner-city black is more my thing, I adore Nancy just the same. Why? Because Nancy likes to use fancy words. Like fuschia, which she explains, is a fancy word for purple. And stupendous, a fancy word for great. And posh, a fancy word for fancy. Better yet, underneath all the frippery and frou frou it’s a tale of a little girl with a vivacious, creative spirit who’s being true to herself – and the family who love her enough to let that spirit run free. Even if it means calling each other ‘dahling’ while wearing Christmas baubles in their ears for dinner at the local pizza joint. Now what would the anti-pink brigade make of that! Find Fancy Nancy at The Book Depository for $9.60, with free delivery to Australia.